Blogging gets easier with time. The more you do it, the easier it becomes to sit down and write. It becomes easier to think of ideas, believe me. You start to know where to look for inspiration and where to find great sources to link to. 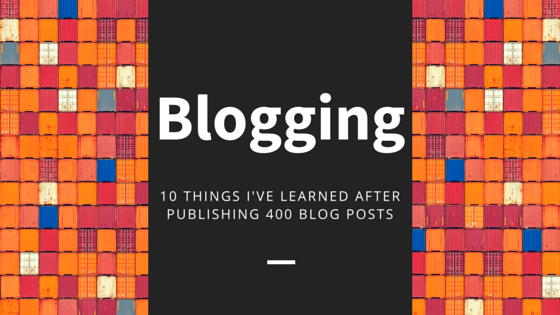 And most importantly, after time you learn that a blog post takes around 45 minutes from start to finish. Or at least that’s my timing. 45 minutes is not a lot of time to invest into something to see great results. Keep on keeping on. The more you blog, the more posts you have to link to. This is a good thing because it keeps people on your site for a longer period of time. It also takes people down the funnel. The more they stay on your site and the more your readers feel connected to you and your business, the more likely they are to end up as a customer. One of the best things about blogging is realizing that blogging is a community. Other bloggers are generous and considerate just like you. In fact, they have a lot in common with you. They too are trying to get their words to resonate with their readers. By linking back to others you are building relationships within the blogging community. Think about it, what do you do when you get a pingback to your site or you see traffic coming in from another blog? You go and check it out. You share that post. You comment. You start communicating. 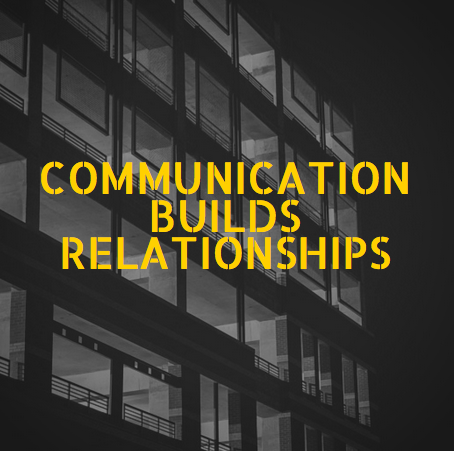 Communication builds relationships. Marketing is about relationships. Marketing is about communication. Images are crucial to your blogging process. Not only are they the first thing people see when you share your blog posts on social media, they are also a communication tool in themselves. The image alone can cause someone to share your post. Sharing equals more traffic. It’s something we like. I like to include at least one image per 500 or so words if I can. I use Canva, BigStock and PicMonkey for the most part to create my images. But there are tons of online sites that you can get creative with. Your voice is what makes your blog stick out from the rest. It should represent you. Don’t be shy about who you are. Make your voice shine and that will keep your readers coming back for more. A lot of bloggers and writers write for other writers. This is fine if your audience is writers. But most likely if you are blogging for your business, it isn’t. Write to your audience and no one else. By the way, your audience consists of your customers and future customers. You’ve probably read that Google likes your blog posts to be this long. No, now it is this long. No, no. You need x amount of blog posts this long and x amount this long. Don’t listen to it. Write good high quality content and length shouldn’t matter. 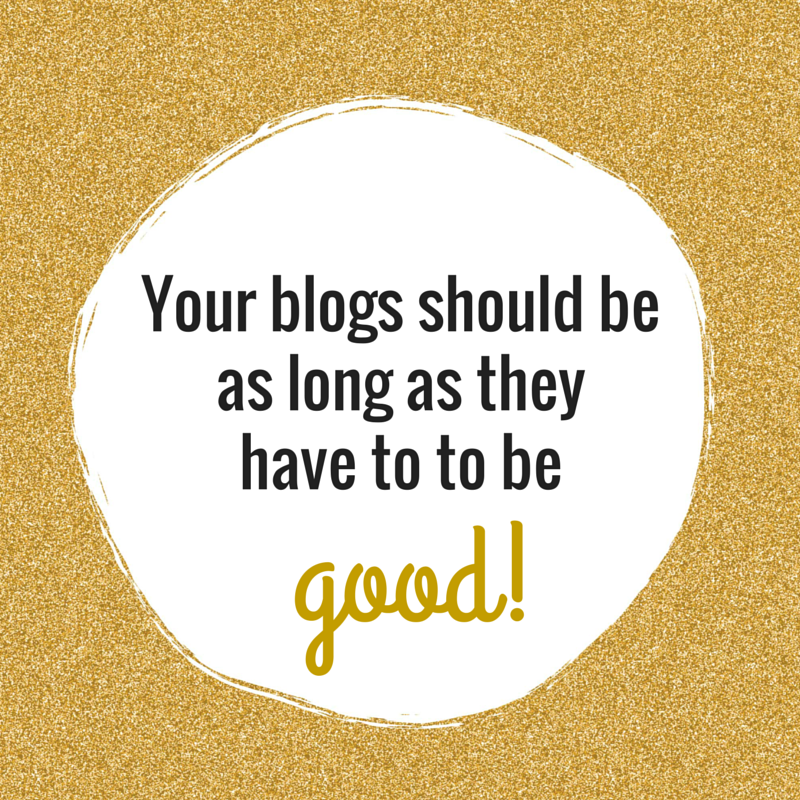 Your blog posts should be as long as they have to be good. Sharing is a key component and can dictate your success. Share your blog posts over and over and over again as long as they remain relevant. Once they start to die down, share them again. Honestly, you can’t over share your blog posts if they are getting in front of the right people. Lastly, write for your readers and not for the robots. If you focus on good high quality writing, the SEO results will follow. If you focus on SEO, the readers will not follow. Thank you for this great post. I need to do a better job with internal and external linking and this article served as my reminder and wake up call! I know I owe you a call–I have a new book for you as well! Great post, Stephanie, and I agree with all points. I’ve been blogging weekly since 1999 and continue to find ways to improve and share my posts. I’d add this: don’t be afraid to branch out into new topic territory. I do it occasionally to see if a post takes off, and it’s been quite successful. I’d also add: Pay Close Attention to Your Headlines. They make all the difference. Sometimes I rewrite a headline multiple times until I feel it’s perfect for that post. Again, thanks for your piece!